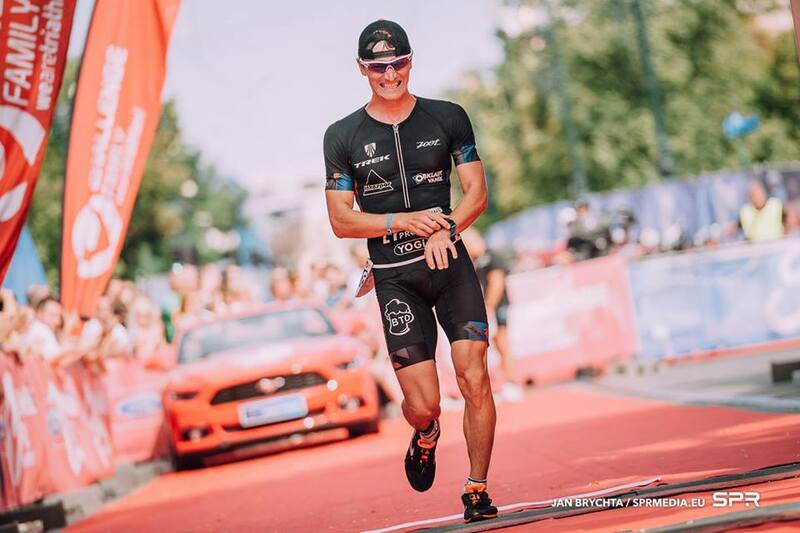 Read the following reasons, why the last year winner among amateurs FORD CHALLENGEPRAGUE MIDDLE 2018 wants to participate again this year. This article was taken from the website of Petr Soukup www.petrsoukuptri.com. … so I will meet all my biggest rivals at the startline and I will be able to challenge them on a fast and beautiful track. Last year I was the first amateur. 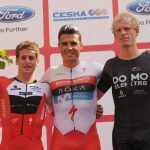 … so I can measure my times not only with the best triathletes of the Czech Republic but also with the worlds PRO athletes. This year it will be, Pieter Heemeryck, who defends the absolute victory from the 2017 or Maurice Clavel. I know them both well from the group training sessions under Luboš Bílek. I cannot compete with them in the water and the cycling, but the race for the fastest runner of us three will be interesting. Pieter beat me last year for 0.1 seconds. … so I will meet most of my triathlon buddies and apprentices in the starting field. During the race, I concentrate only on my race, but when I’m done, I will enthusiastically watch their performance, cheer along the track and at the finish discuss each part of the track with them. 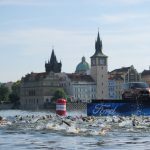 … although swimming in the Vltava river is a challenge due to the strong current and, at the same time, the experience thanks to the wonderful historical backdrops, I would not go swimming in these places by myself. Although the view of the Prague Castle and the waterfront is wonderful, the cold water would discourage me. Within the race, I enjoy this extraordinary moment. … I regularly practised in this area for several years because I lived nearby, and I fell in love with the hills along the Vltava River. Even though I now live on the other bank, I always like to go back to the crime scene. The legs hurt me especially when I remember the hill in Dolní Břežany, which I practised three times per training session and with hope always looked for the roundabout, which marked the end of the section. … most courses in the big triathlons lead through parks on boring plains, but this one is different. Where else do you run with a view of the Prague Castle, the National Theater and the beautiful houses on the waterfront? You can perceive this splendour also at a pace below 3:40 min/km. … from the first year in 2015 organizers have greatly improved in the organization and almost nothing can be reproached. Transition areas and refreshment points are on a world level. Cycling and running are on a completely closed track, the comfort of the competitors is exemplary. The only complaint I find in the deficiency of toilet paper in the mobile toilets, but it is the same everywhere and therefore I always carry one with me. … I love food and I like to treat myself after the race. The refreshment at the finish is really luxurious and when I’m stuffed, I can go to one of many pubs for my favourite beer Braník or Pilsner, in contrast to the other races in Europe. …to be honest, every triathlete is a little narcissistic. A professional photo that portrays you in details with a beautiful environment or with the second woman from Hawaii is simply priceless :-).